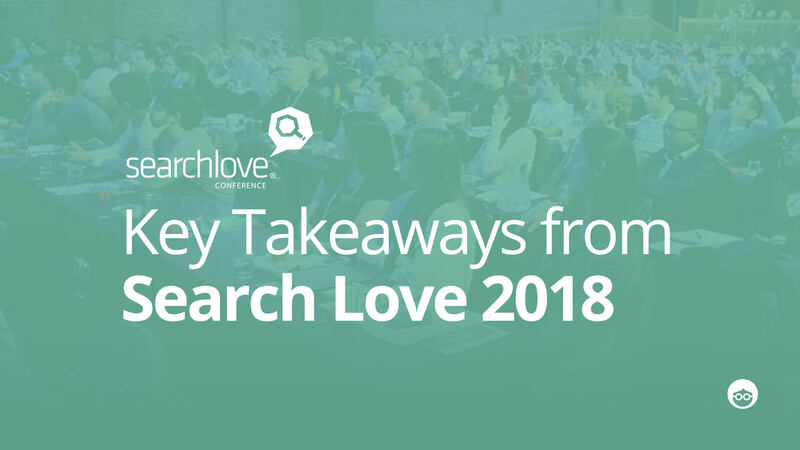 SearchLove, one of the most interesting online marketing conferences, particularly for SEO and search experts, was recently held in London, and I was lucky enough to be attending for the second time. Run by Distilled, and based in the UK, San Diego, and Boston, SearchLove is a great conference for all you performance search marketers out there. 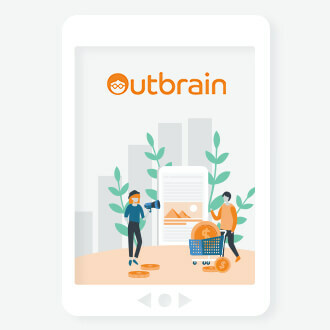 This year – as always – all the important topics were covered, from analytics and optimization to content strategy and paid promotions. One of the most talked-about sessions was Tom Capper’s. Tom gave great insights about the most competitive terms we are all trying to rank for. The standard rules don’t always apply. Tom dived into whether and how Google is going beyond our normal understanding of ranking factors, and how we need to react. Just as he did at Searchlove 2017, Will Reynolds killed it on stage again this year. Will is simply a master at visualizing all the data we get from SEO activities through DataBI. If there’s anything worth doing right now, it ’s following him on Twitter. Such an interesting character! See his magic once again here. STAT, recently acquired by Moz, gave insightful data-based tips to shape up your local SEO and smart segmentation. Check out their shiny research with some great data nuggets. We live in a world of real-time news and instant reactions. As marketers, this gives us more opportunity than ever to become part of a bigger story – and to earn big links. It’s more affordable and less time consuming than you think, and anyone can do it. After years of newsjackings both big and small, Ryan Charles from hireahelper.com and his team completely newsjacked the news of the San Diego Chargers NFL franchise relocating to L.A. Learn from Ryan about how to potentially facilitate huge, viral moments, how to best manage them when you land one, and how to add to the story without being a “Newsjackass”. When was the last time you were excited to click on an ad in your social feed? If you answered “never”, you’re not alone. Consumers don’t want to watch more ads. They want to be entertained. 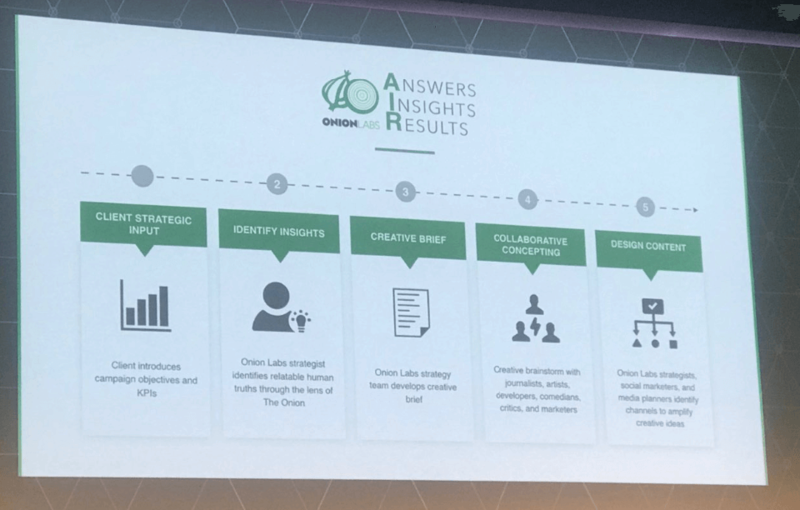 Julie Scott shared how Onion Labs has combined the best comedy writers in the U.S. with some incredibly talented marketers, to create a custom content studio. The studio teaches brand marketers to leverage comedy and entertainment to reach publishers’ coveted target audiences. 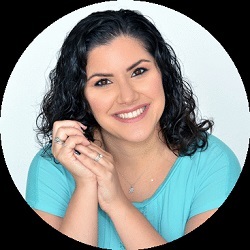 Julie also shared a 5-step process of how to create the best framework for working with brands. So, you’re running an eCommerce site and you have lots of discontinued products. Usually, most brands remove those product pages from their sites. However, they are losing huge conversion opportunities. Check out this presentation by Luke Carthy and see how you can power up your SEO eCommerce efforts with your old product pages. Everything from: What are the effects of basic SEO changes? Why is changing title tags possibly a really risky move? How and when does structured data help? How important is freshness (and can you fake it)? Does testing change your relationship with a client? Should you put emojis in everything? @JohnMu wouldn’t call it an authority metric, but they have site wide and page level signals. And what about site structure? What are we better off with? Subdomains or folders? Thank you, Distilled, for another great SearchLove conference. See you next year!